This is a short story of about 17,000 words, or 40—45 pages. Emma Chase is the Caller of the Blood, chosen by fate and ancient magic to hold the power of all shapechanging races in her hands. She’s held her own against monsters, gods, and even a bloodsucking ex-boyfriend, but none of that can help her when it comes to untangling the mysteries of her complicated bear warrior, Red Sun. Please note, this is a short story set in the universe of the Wild Rites Saga, and as such it contains massive spoilers for the previous books. If you’re new to the series, start at the beginning with The Jaguar King. 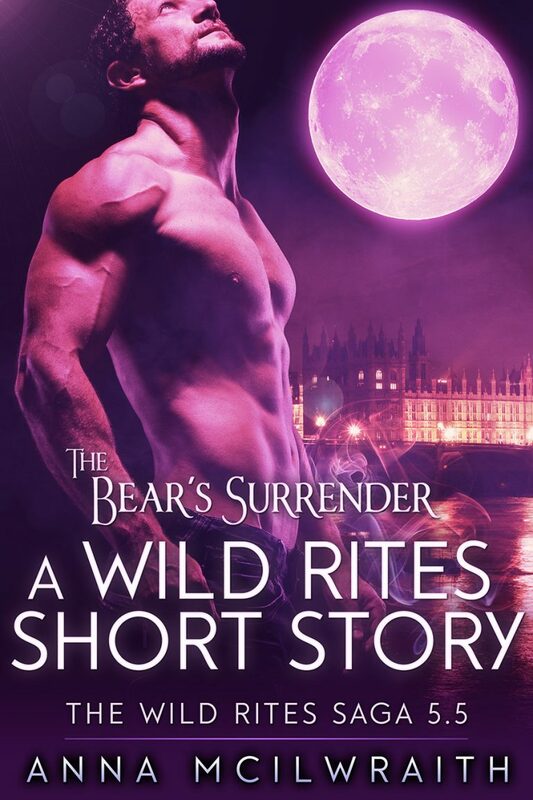 The Bear’s Surrender takes place halfway between books 5 (The Raven Thief) and 6 (yet to be released) of The Wild Rites Saga. Anna McIlwraith is an author of urban fantasy and paranormal romance. There’s nowhere she’d rather be than travelling the worlds of her books, but when she’s not doing that she’s usually arguing with her cats and preparing for the zombie apocalypse.